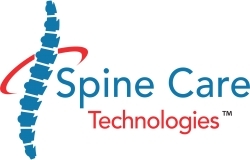 Spine Care Technologies will be partnering with mdi Consultants to change orthopedic healthcare. Hauppauge, NY, September 18, 2018 --(PR.com)-- Spine Care Technologies Inc., headquartered in Hauppauge, New York, is pleased to announce its new strategic alliance with mdi Consultants, a leader in providing consulting services to the healthcare industry worldwide. Currently available in over 15 countries, the FDA-cleared Extentrac® Elite has a successful track record of effectiveness and safety in delivering non-surgical, drug-free, disc and spine care treatments for over 20 years. Health professionals worldwide have confirmed excellence in clinical outcomes in the management of low back pain in both private and hospital physical rehabilitation facilities through the utilization of Extentrac®. To learn more, visit www.spinecaretechnologies.com.